When you need a reliable supplier for the projects that enhance your exterior living space, such as a deck or fencing, BFD BUILDING CENTRE is the right choice. Though we would love to do the installation of your fence or deck, we understand that you may want to do it yourself and will help you to choose the best materials for your specific project. In fact, customer demand gave birth to the new BFD Building Centre in May, 2010. As an independently-owned RONA affiliate we are able to offer a full line of Building Materials, Services and Expert Advice. Come and visit our new 10,000 sq. foot store. For unique materials not found in big box stores, BFD is your Fence and Deck Expert! We offer a free computerized rendition of your project, as well as experienced design and installation professionals to help with the design. We are extremely proud of our expert group of designers, estimators, sales staff and craftsmen. They are specialists in their field and supported by an office always eager to meet all of your needs, on time, and on budget. We at BFD are wholly committed to excellence in the design, execution, and warranty of your project, and completely dedicated to your total satisfaction. 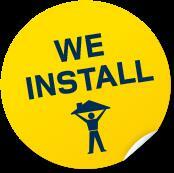 Installation services available on most in-store products. Delivery available throughout South-western Ontario. The BFD RONA mission is to offer the best service and the right product at the right price to local consumers of housing and home improvement products. 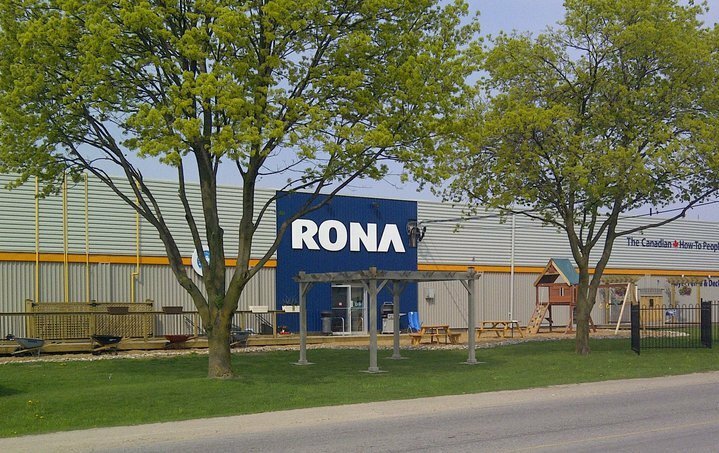 We offer the complete RONA product line together with the long history of excellence associated with our company. We value our reputation as an industry leader and high quality supplier and installer of fence, deck and related products, and will continue to enhance that reputation throughout the broader housing and home improvement industry in Kitchener-Waterloo and surrounding areas. We value our relationship with all of our stakeholders – Customers, Employees, Community, Suppliers and Business Partners. "Building Quality and Trust since 1923"
With roots dating back to the early 1900's the company has been known in the Kitchener-Waterloo region as a top quality supplier of lumber, a reputation that it has held to this day. While the names and people changed over the years, the reputation for quality supply of materials and installation of fencing, decks and related products has remained in place. The current ownership group includes Dale Lahosky, who joined the company in 1998, and has been in the building supply industry his entire career (over 30 years). In charge of Fence & Deck installation sales, Shawn Warden has been in this industry his entire career starting as an installer of fences and decks. Tim Hergott joined BFD in 2010 to look after lumber and building supply sales to contractors. Tim brings with him over 30 years of industry experience as well. Mike Fronchak joined the ownership group in 2010 and has over 25 years financial and operation experience in the building supply, building materials manufacturing and construction industry. Early in 2012, Wayne Filsinger (W. Filsinger & Sons Limited) joined the ownership group. Wayne is an icon in the industry, operating Rona Building Centres in Guelph and Elora, and previously serving on the board of directors of Rona Inc. The three locations work together closely to ensure that adequate supply of quality products is available to our customers. Today, in BFD Rona's newly renovated 10,000 square foot store, homeowners and contractors can find all the products necessary for any construction project, renovation or repair, as well as specialized services not only for Fences and Decks, but any project around the home. Also, installation of Fences, Decks and many other renovation products is available from our skilled trades-people. It's that knowledge and personalized service that sets BFD Rona apart from the Big Box stores and hardware stores. Drop in and see one of our Project Experts next time you have any job to do! BFD RONA Building Centre has always taken pride in our people. 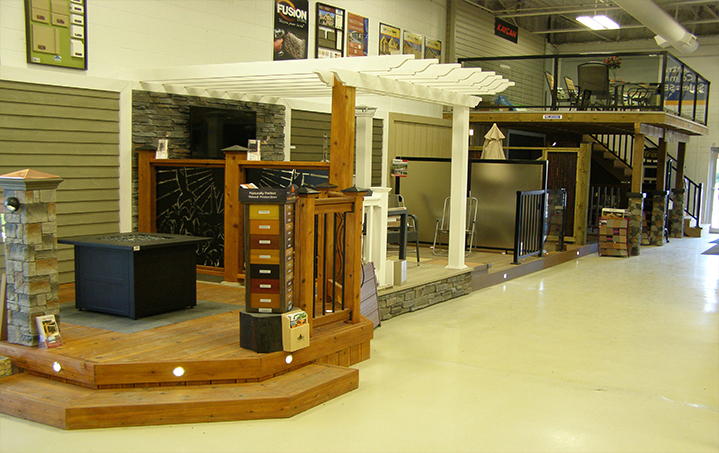 The company continues to be locally owned and operated after becoming a Rona affiliate in 2010. While technically there are a small group of owners at this company, our employees are expected to act as if they are owners as well. That’s a difference you will notice when you walk into our store and are instantly treated as someone who is important to us. Yes, there are some times when everyone is busy and you have to wait a short time for service or for an installation crew to be available. But good things are always worth the wait. Our staff is knowledgeable, friendly, well-trained and constantly learning in order to serve our customers better.